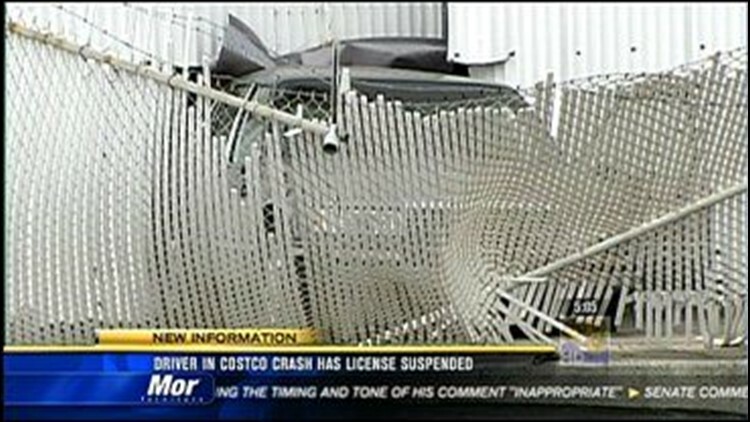 An elderly driver who ran over a man in the parking lot of the Bay Park Costco will not be charged. Police say the 86-year-old's license has been suspended, pending a review, and the driver stepped on the gas instead of the brake, while backing out of his parking spot Sunday. The driver hit several parked cars, and a 40-year-old man, before crashing through a fence and into a building. The victim suffered a broken pelvis, punctured lung and internal bleeding. Two children also suffered minor injuries.